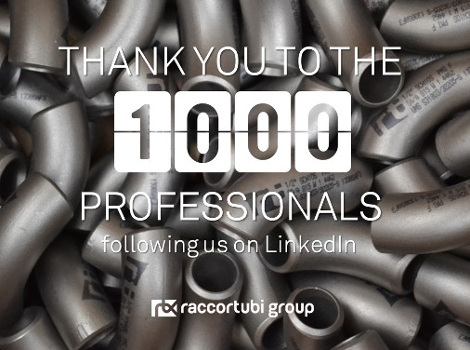 Raccortubi Group | 1,000 FOLLOWERS ON LINKEDIN – THANK YOU! 18 Ene 1,000 FOLLOWERS ON LINKEDIN – THANK YOU! We have recently exceeded 1,000 followers of our LinkedIn company page – a great achievement for us and a big thanks to everybody following us! The aim of the page is to keep people up to date with news about our business and our people both in Italy and in all the subsidiaries worldwide, in the belief that engagement is the key to commitment. Clients, stakeholders, all the people having some interest in Raccortubi are one of the most important assets for us, hence involving them in what we do is the easiest way for us to make them feel part of the Raccortubi community. Not to miss anything about us, join our LinkedIn page here.